For your next get together in South Florida, give us a call whether you need a bounce house or other party supplies. We have plenty of rentals. Call South Florida Bounce for your next event. Now on to some great BBQ planning tips. What’s the definition of the perfect Barbecue? Well, if you ask most people you’d hear a common answer “Good Food, Good Friends = Great BBQ!” While that may be true, it’s often harder to plan such an event if it’s for the purpose of your company. There can be a little pressure if you’ve been selected at the last hour, but we’re here to offer some ‘pearls of wisdom’ with this on-target checklist. First, consider the age group of the people that will attend. Is this open to families or just employees? Once you’ve established the age in attendance then things will be much easier to plan. Next, you’ll want to determine and secure a location. This is something that needs to be done as soon as possible, especially if it will be at an off-site location such as a park or other area. If you plan on including a bounce house or obstacle course for the event, you’ll need to double check with the venue for space requirements but also for permission. Not every park in town allows inflatables and may require additional fees along with permits. Our staff can help you with suggested areas that we’ve been in before. Now let’s consider the food. Many people enjoy the traditions of hamburgers and hot dogs and while this is a standard commodity at a BBQ, there are some alternatives for you to think over. Ribs and Brisket can be costly, but there are plenty of places that offer discounts on large amounts of meat. Places like Penn Dutch has specials on party sized platters, but you can consider buying in bulk. Half a Side of Beef is plenty of meat with a lot of variety. Chicken is always a winner too!! Make sure that you hire someone or assign the role of chef griller to someone who’s experienced. BBQ grills can be tricky to maneuver and the number one rule is Safety First! 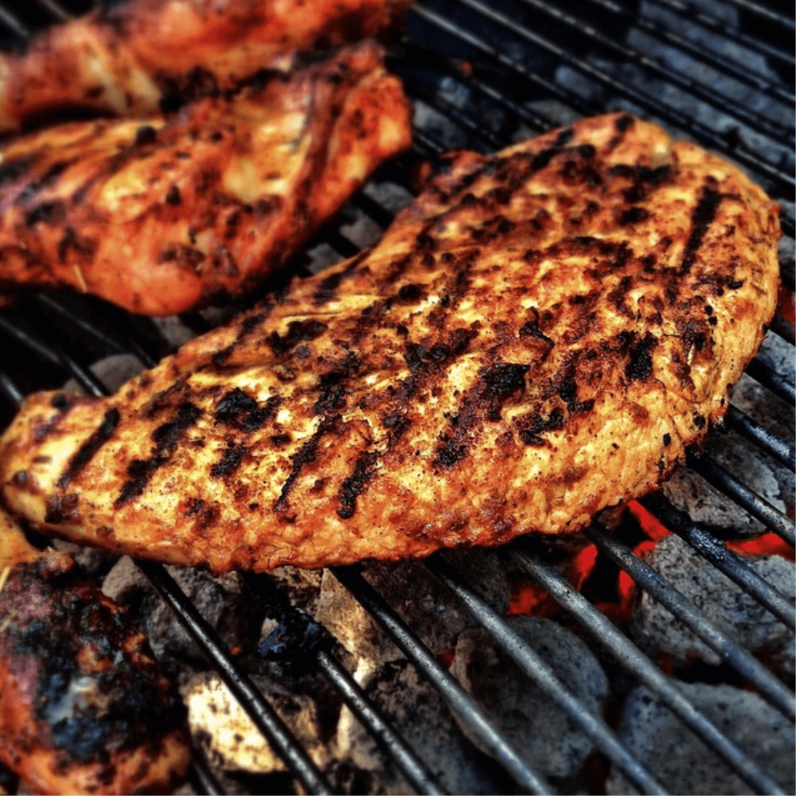 You can always contact a local barbecue catering company to bring the grill to you. This will probably be one of your best plans and will allow you to enjoy the day more. Some other items to kick around would be a hot dog roller and a cotton candy machine if there’s kids joining in. Seating can be a problem at times if you don’t remember to tell people to bring a lawn chair or blanket to sit on. You may want to rent tables and chairs if the BBQ will be held in a parking lot or some other area that doesn’t have grass and picnic tables. A tent would also be good too for those not wanting to bask in the hot Florida sun. Keep a first-aid kit with you at all times and make sure you have plenty of bandages and don’t forget to include sunscreen. People often forget to pack certain items that can either make or break a good party. By being the one prepared, you will look like the hero saving the day. Another good policy would be to save the park contact information if you plan your event in a place where you may be in a desolate area. Unless you plan on sitting around and staring at each other, it will be good to count on some entertainment at the party. If there will be children present, then book a face painter or balloon artist to entertain the little ones. To make the party memorable add a photo booth for people to take more than just selfies. A good picture to have on the company Facebook would be of the gets dunked by his/her staff while sitting in one of our Dunk Tanks. This is a good way to take out your frustrations, but keep it clean. Last cleanup. Putting together a cleanup crew ahead of time is one of the best things you can do. People generally like to be involved and if you arrange who will be helping before the party, this can be extremely beneficial and all operations will remain a GO! Don’t forget to bring extra garbage bags in the Supersize category as these always come in handy. This concludes our quick snapshot of how to plan an awesome company barbecue and it took you no time to read. We have a sneaky suspicion that you’ll do great putting everything together and we’re always here to help if you need any advice on party rentals or bounce houses. Best wishes for a Grand Barbecue! South Florida Bounce not only has bounce houses for rent in Boca, Broward, Boynton and all over Palm Beach County, we are also known for are party rentals. So if you are planning your next party, give South Florida Bounce a call to get a great deal and awesome service for all your party needs.